Signed by French cutler Tarrerias-Bonjean, this 9 cm paring knife is a small but handy knife of high quality. 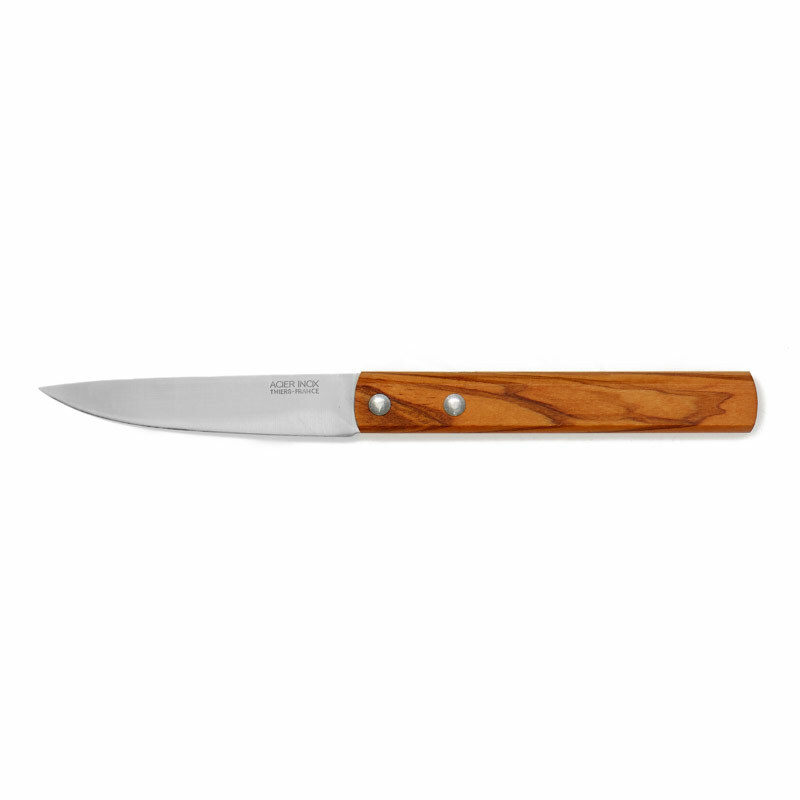 Its olive wood handle has natural nonslip qualities. It also has a high-end stainless steel blade that guarantees a great resistance to frequent manipulations. 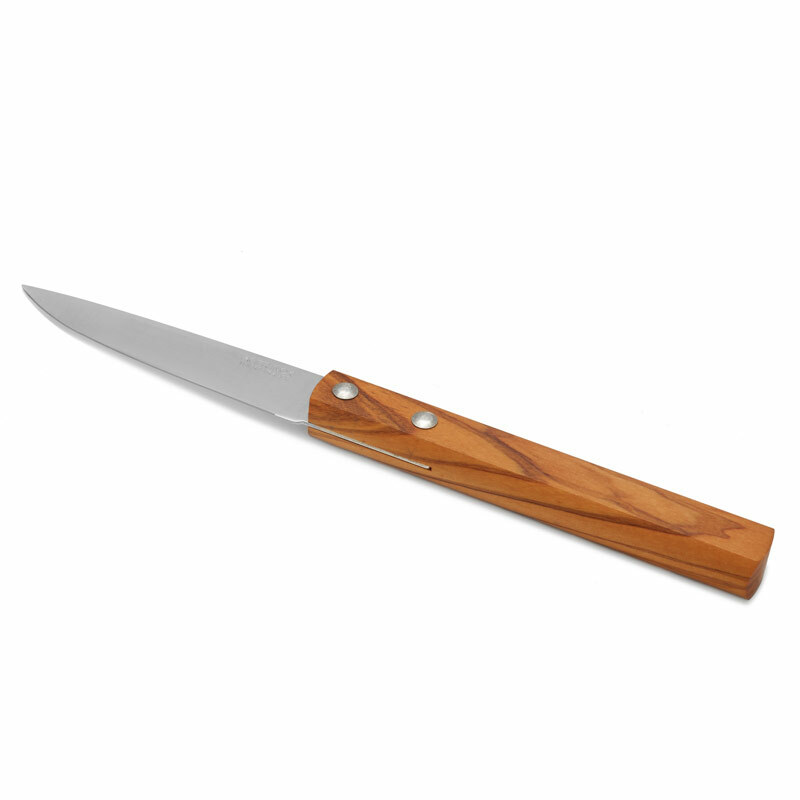 This paring knife is manufactured in French cutlery of Thiers where it received the best thermal treatments. 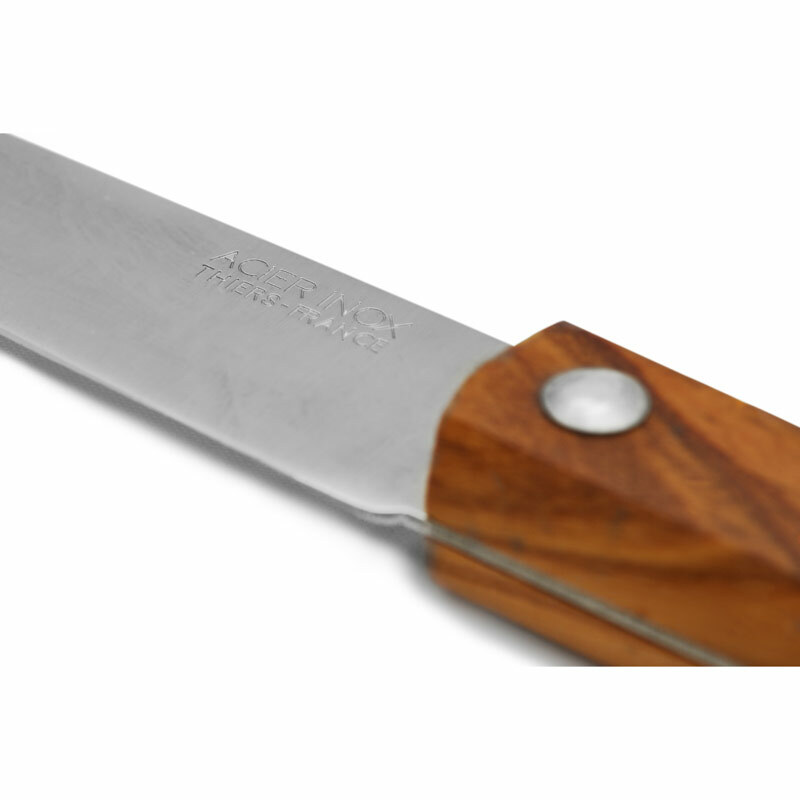 Tarrerias-Bonjean is recognised for the manufacturing of this Made in France knives. This French and versatile knife can be personalised with a laser engraving up to 30 characters.